Some years ago, I spent time in Hanoi working on a program for Vietnamese adoptions. For meals, between the bursting freshness of vegetables and herbs combined with various ingredients served piping hot, subtly accented with French culinary influence of the countries past, it seemed impossible to get a less than a perfectly satisfying meal nearing culinary excellence throughout my entire trip. Many among the homemade Vietnamese delectable delights line along the narrow streets rapidly prepared to order by women, some in conical hats, others men standing right in front of two story row house residences where beyond varying street foods such as the traditional Pho, includes selling the sweet treat, Chuoi Chen, Fried Bananas. 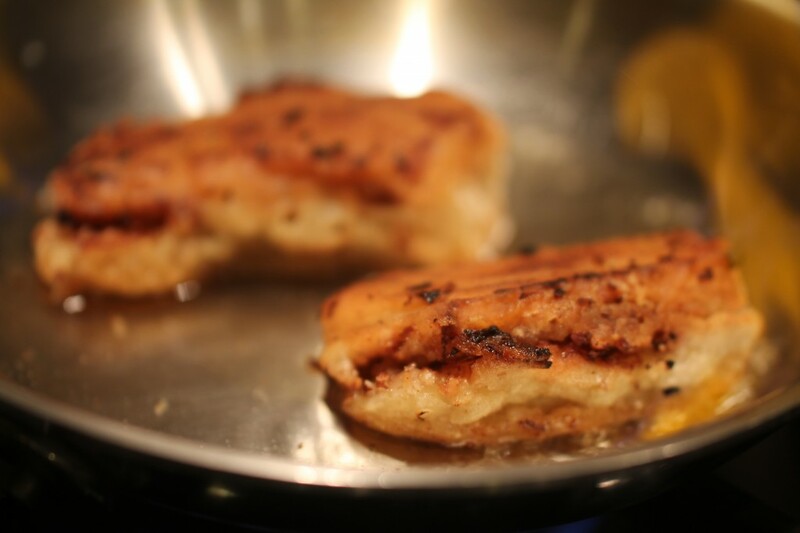 While there are lots of batter varieties and topped coatings among the Chuoi Chen I was recently delighted to prepare a new but reminiscent version of this creamy, sugary sweet, fried fruit sliced and stuffed between chopped pecans and coconut. The recipe was enticing written as one among the broad collection included in the ‘Great Food!’ cookbook sent to me for review a few months back as part of the California Chefs collection of newly published cookbooks through Chefs Press, Inc. 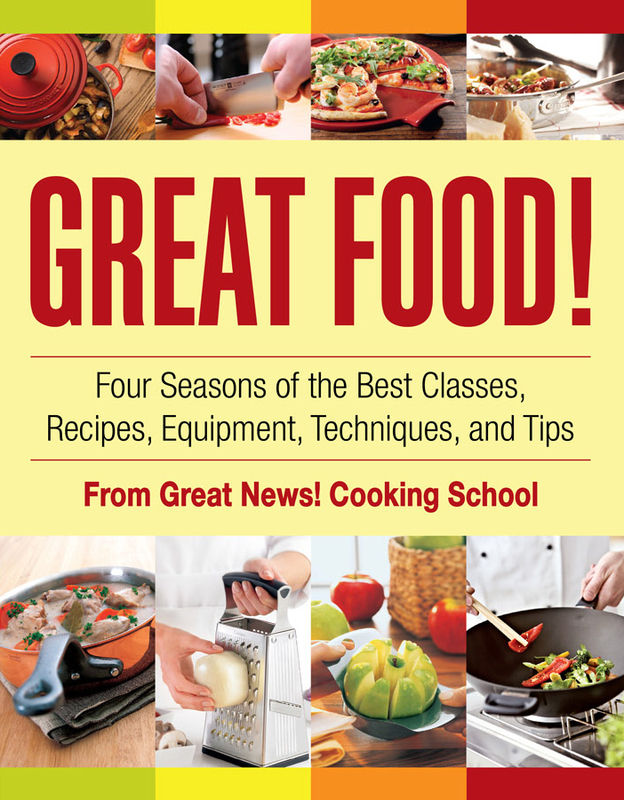 The ‘Great Food!’ cookbook, written through one of San Diego’s most popular cooking schools called ‘Great News!’ got its start over twenty years ago being the first of its kind selling quality cookware items before eventually developing into a premier gourmet destination of today. Within its pages Great Food cookbook shares Four Seasons of the ‘Great News!’ Cookware and Cooking School’s Best Classes, Recipes, Equipment, Techniques, and Tips. Along with a diverse collection of recipes provided in the book, Great Food is much a of ‘How To’ book providing tips for both amateurs and novices alike educating in cooking techniques. While I plan to make some other dishes shared within the pages of the cookbook, fried stuffed bananas sprinkled with white powdered sugar made life seem real sweet, even despite its bits of gooey mess in preparation. In this recipe however, before sprinkling on the 10x the bananas are transferred to a saute pan, simmered in rum and then lit flambe style. I tried it both ways with and without the flambe and being up to you to decide, the rum part is fun for a bit of elegance or drama but is certainly optional. While ‘Great Food!’ cookbook lists the Vietnamese Fried Bananas under the spring section of the book, I find these perfect as a unique delight to share with a few intimate friends for winter brunch. Alternatively, these sugary delights also seem perfect as a stay in your pajamas and prepare this treat with the children or those children at heart on some grey, snowy day when dropping temperatures make one desire some indoor warmth, appreciating those rare quiet moments combining solitude with flavorful treasures and fun. ‘Great Food!’ Four Seasons of the Best Classes, Recipes, Equipment, Techniques and Tips from the Great News! 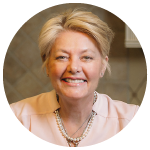 Cooking School may be purchased through Chefs Press or Amazon. This recipe is halved from the recipe in the Great Food! Cookbook. The final part of the recipe calls for the fried bananas to be transferred to a saute pan and briefly simmered in rum before flambeing. I tried the recipe with and without the rum, both are excellent but the rum is optional, if preferred. 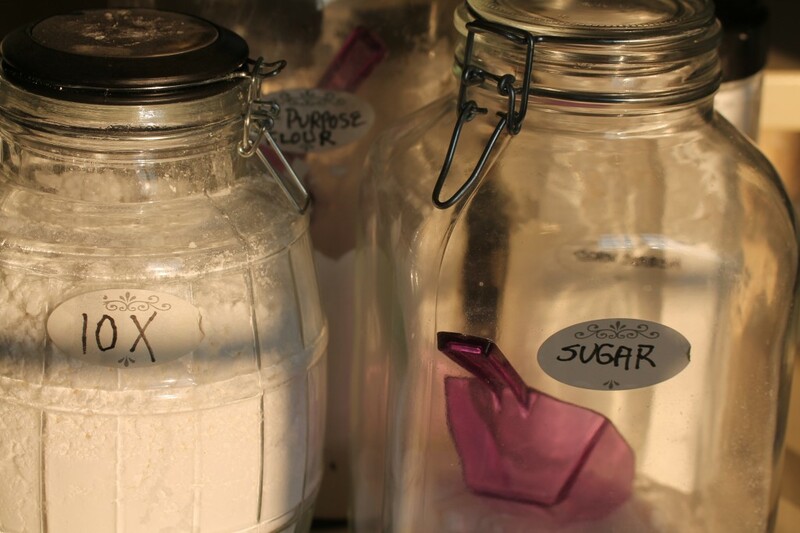 Into a medium size mixing bowl, combine the flour, cornstarch, sugar, salt, and baking powder. Stir in the water and oil blending to a smooth consistency. 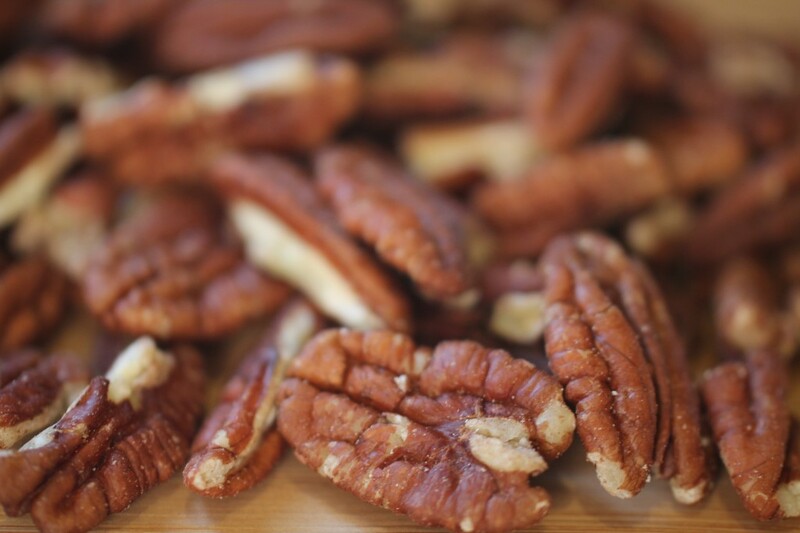 Into a food processor wiz together the pecans, coconut, vanilla extract and water until smooth. 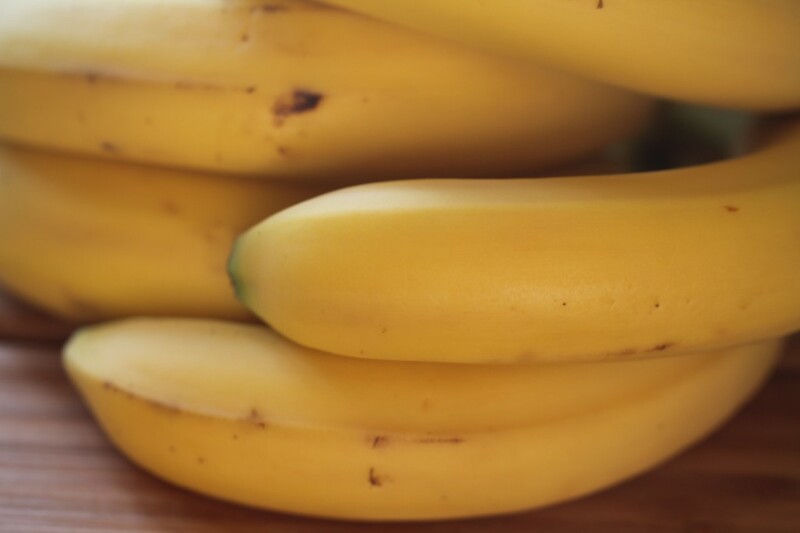 Peel bananas, cut in half crosswise, then slice banana in half lengthwise keeping both of the pieces together. 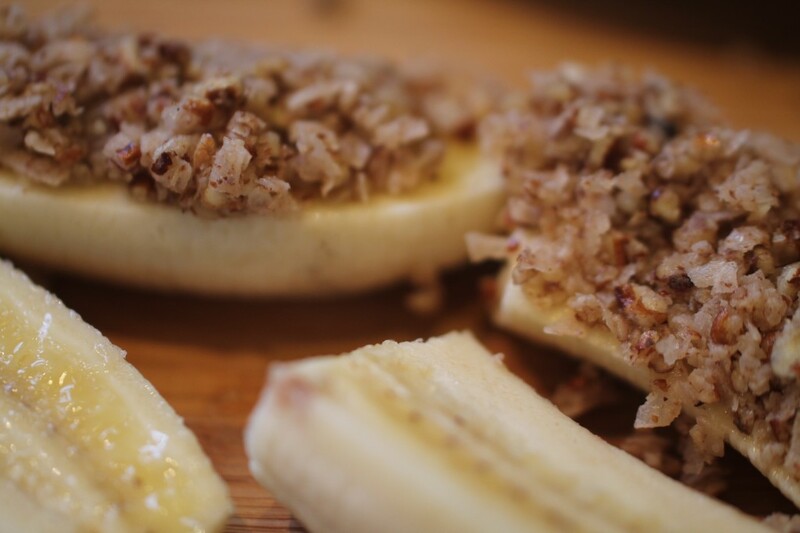 Place a half tablespoon of the pecan coconut filling across one slice of the banana and top it with its matching piece. When each of the banana halves have been stuffed with the pecan mixture, lightly dredge each into the additional quarter cup of cornstarch transferring to a cookie sheet. Heat oil in a deep fryer or if using a nonstick pan fill oil about two inches in pan. Dip each banana into the batter letting the excess drain then gently placing into the hot oil. Fry until golden brown on all sides between 2-4 minutes each side. Transfer to a paper towel lined baking sheet. 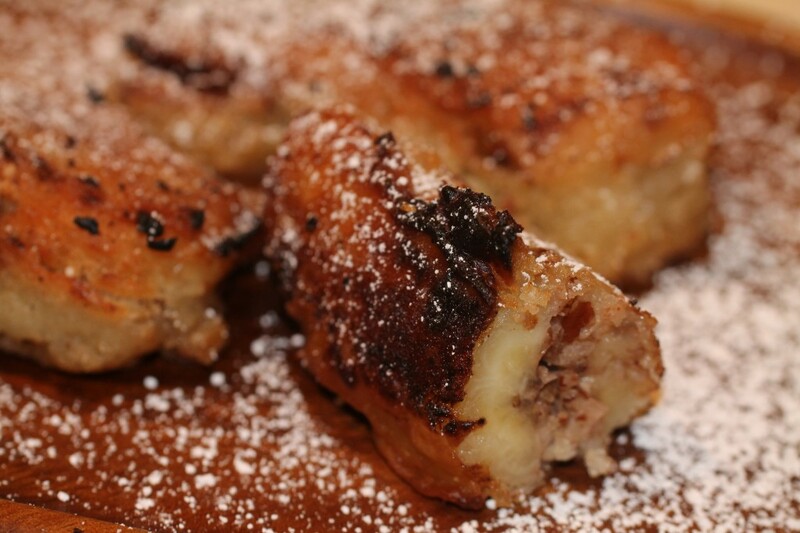 If not using rum, place fried, stuffed banana onto a plate, sprinkle with sifted confectioners sugar and serve. If using rum, place the bananas into a stainless steel saute pan over medium heat. Pour the rum over the bananas and bring to a simmer. Carefully light the rum and let the fire burn until it goes out. Transfer bananas to a serving plate and dust with powdered sugar. This entry was posted in Cookbooks, Sweet Treats and tagged Chefs Press Publisher, Fried Bananas, Great Food Cookbook, Great News Cooking School, Vietnamese Fried Bananas, Vietnamese Style Fried Bananas. Bookmark the permalink. Post a comment or leave a trackback: Trackback URL. Yum! Sounds amazing. I love bananas and have not had these. 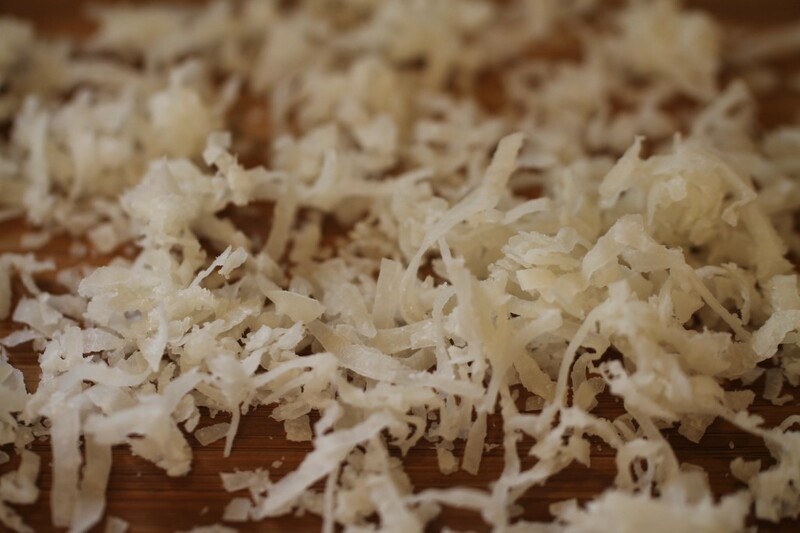 Rum, pecans, and coconut flakes must make this taste terrific, Nice cookbook. Phil recently posted…Cask Bar & Kitchen – a bit of class in Bro-Murray Hill NYC. 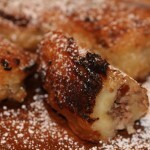 Hi Phil, yum, fried bananas are crazy good, so sweet! Looking forward to reading your latest Post! Thanks for joining in.